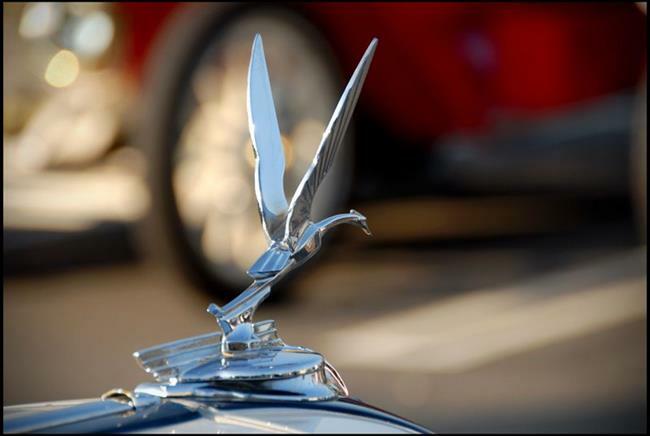 Brass era cars (1915 and earlier) and cars of the pre-1930 period offer some of the best hood ornaments, here we see an early 1920's Crain taking flight ornament framed against a fragment of a Brass era car. Shot in December of 2009 using a Nikon D200 with a Sigma 28-70 f2.8 lens, and available morning light. Various to 12" x 20"